For the first time in history, a full time institution has been setup where anybody can apply to sit for reciting Salat and Salam on the beloved Prophet Muhammad (S.W.A.). A unique way to promote the love for the beloved Prophet and to increase spirituality. MQI leader Shaykh-ul-Islam Dr Muhammad Tahir-ul-Qadri has said that Allah Almighty gave the power of miracles to His Prophets for the authenticity of their claims. He said that miracles are a manifestation of Allah’s absolute power. He said that the journey of ascension undertaken by the Holy Prophet (peace and blessings be upon him) is the climactic point of all miracles. He said that it is a miracle that initiated the process of opening the closed doors of the universe. 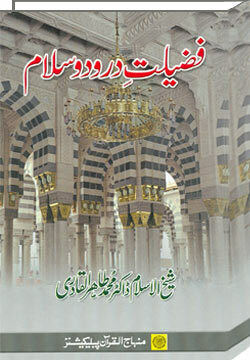 People coming to recite Durood Sharif for 10 days in Gosha-e-Durood, are called Gosha Nasheen. Here are the details of durood recited at the central gosha-e-durood-o-fikr and its halaqaat throughout the world or sent by the remote users.